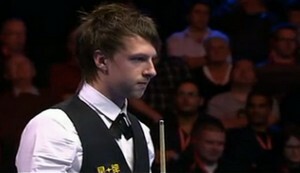 Judd Trump beaten Neil Robertson by 9-7 to reach his first UK Championship Final. This is the second major ranking final he reached after World Final in May this year. Congratulations! The match started with a very tight opening frame which Trump potted blue and pink to win it, followed by a 84 break to allow Trump being 2-0 ahead of Robertson. The Australian took the scrappy third frame and 67 in fourth to level 2-2 before mid session. 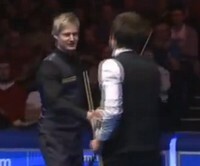 After the mid session, the two players won frames alternately to go all square 4-4 to end the first session. Trump made 69 while Robertson made 105 and 77. In the first frame of the second session, Trump took the advantage again to lead 5-4 although Robertson made 56. Robertson shook his both fists and shouted 'Come on!' after winning the frame 10 on the final black. This action did not affect the 22-year-old from Bristol to win the next two frames with 73 to go 7-5 at the mid session, extending his advantage to two frames for second time. Robertson gripped Trump to win frame 13 with beautiful pot to a centre pocket and the re-rack frame 14 to equalize the scoreline 7-7. The mistake that Robertson made in the following frame was costly which allowed Trump to get the match point, 8-7. 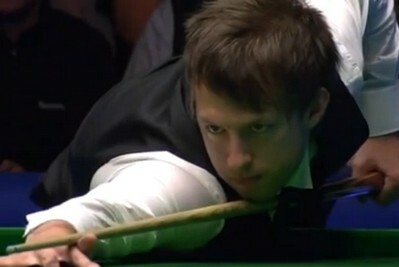 Again the poor safety from Robertson let Trump to in with a cracking long pot to seal the 9-7 victory. "Neil tried to slow it down and make it awkward for me," said Trump. 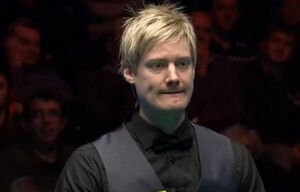 Trump reached the World Final in May this year but lost to Higgins, he aimed at the title for Christmas, "I felt under more pressure than I did at the Crucible. This is a big tournament and it would be nice to end the year on a high. I have learned from the World final and I will be patient this time. To win £100,000 would be perfect in time for Christmas." Robertson said: "Judd is a difficult player to trap because you want him to go for risky balls, but then sometimes he knocks them in. I'm disappointed because I fancied the job. I probably missed four pressure balls and that cost me. I hold my hands up as I feel as if I threw it away."